Spring is in the air, and that red and yellow you see popping up at your local Rite Aid stores, now owned by Walgreens, are Miracle Balloons. 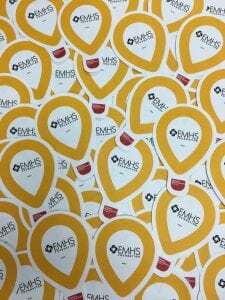 From now until May 12th, you’ll be asked to buy a Miracle Ball for $1 to benefit EMHS Foundation Children’s Miracle Network Hospitals. Please do! Every penny from that $1 will help doctors and nurses at EMHS hospitals buy the highly specialized equipment, supplies, services, state-of-the-art facilities, and continuing education needed to provide the very best care to Maine kids. It may be $1, four quarters, of ten dimes, but to a local family whose kiddo is at Eastern Maine Medical Center, it means the world!